Do you like Greyhound Racing Tycoon? Share it with your friends. 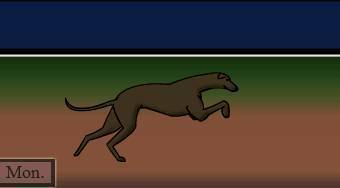 "Greyhound Racing Tycoon" – your task in this original game is to take care of a racing greyhound and to help him to advance to a higher racing category.